The 1st Rule of Selling is that no matter what product you are selling, always agree with the customer. This is the single most important, most basic and most commonly violated rule in all of selling -- and really in all of communication. If you want agreement, you have to be agreeable. If you want agreement with any person, you have to be agreeable with them in order to get agreement from them. This vital rule is not to be confused with the old saying “the customer is always right.” The customer is not always right. If you’ve ever been with one you know what I’m talking about. The point is, right or wrong, agree. Don’t disagree and fight the deal, and never expect people to agree with you if you are disagreeing with them. People are attracted to products, ideas and people that represent those things they are already in agreement with. Who you voted for president can be a great unifier, or it can start an argument. Your friends are typically those who you agree with the most. People who agree move together, people who disagree move apart. The saying “opposites attract” isn’t true. In selling, likes attract. Like minds, like attitudes -- the like is born out of agreement. When there’s not enough agreement between two parties, there is no agreement. The main reason you don’t have customers buying from you is disagreement. Most people think it takes two to resolve a conflict. This isn’t true. If one person agrees, there is no conflict. If I agree, the disagreement is over. If you want agreement, you have to first give agreement. Even when a buyer makes ridiculous, crazy claims, you must agree. Just because you think what that customer says is ludicrous doesn’t mean your customer thinks so. If they think something is black and you think it’s white, well, it’s black to them. If he thinks it’s black and you want to get that sale, you need to see from his viewpoint how it could be black. If he thinks he should wait and think about it and you disagree, he’ll solidify his position and become difficult, and you’ll never close. If you simply agree with him that thinking would be a good thing, and you let him know that you agree with him that thinking is important, he’ll become more at ease with you and you’ll have a chance to still close the deal. You can then explain how thinking won’t change the fact that it’s the right product. Always, always, always agree. 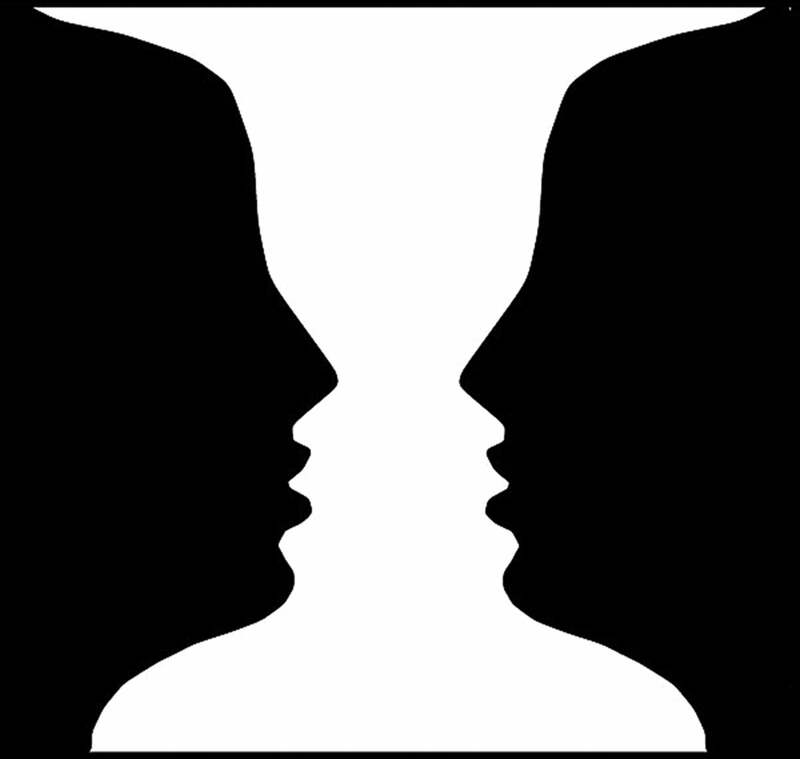 Do you see a vase while your customer sees two faces? Just agree with their perspective. I want you to take today the Agreement Challenge. Agree with everyone you talk to for 24 hours. It sounds easy, but it can be difficult to even last three hours. Try it around the house with your kids or your spouse. Each day you are given multiple chances to disagree. Agreement takes muscle. Most people are disagreeing every day and they don’t even know it. You go to your kids, they say “I don’t want to go to school today”, you say “Son, just put your pants on and let’s go.” Flunk. You didn’t agree with them first. You see? A client tells you “that’s too much money” you need to say, “I agree it’s a lot of money.” You can then still move forward and handle them if you know what to say next. The ability to agree with a customer is senior to all the other rules of selling. Agreement is even above closing the sale and I can’t believe I’m saying that because I view the close as something sacred. The fact is if you disagree with someone before you get to the close, you risk even being able to close. Show me the top one percent of salespeople in any industry and I’ll show you people who have mastered agreeing with their customers first and closing them later. Agreeing when you don’t really agree is not manipulation. I’m willing to agree because I want to help people. I see agreement as an attempt to get along, not manipulation. Disagreeing manipulates me out of a sale and manipulates my customer out of a good product. If you need to be right, selling will be difficult for you. If you say it’s hot and I say it’s cold, am I able to shift my viewpoint long enough to see how you can think it’s hot? What do I lose by simply acknowledging that you think it’s hot? It’s not manipulation, it's understanding. Agree with your customer’s reality without adding that you see it differently. Agreement is just one small part of making sales. Get a copy of my Closer's Survival Guide and start increasing your revenue!